3) OR could third be you? 4) Perhaps fourth is not too bad? 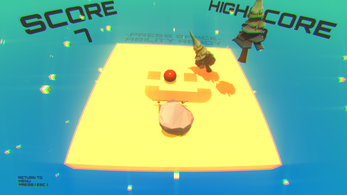 Discover your balance and find your spiritual center with this new arcade game! Yes! TILTOFF guarantees an easy way to a better you! 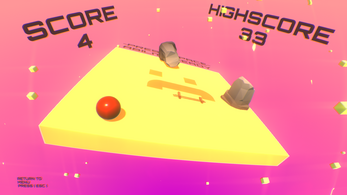 Through the proven method of balancing a ball on a yellow platform with a smiley face, you will save time and get results. Experience the change today, click that download button! 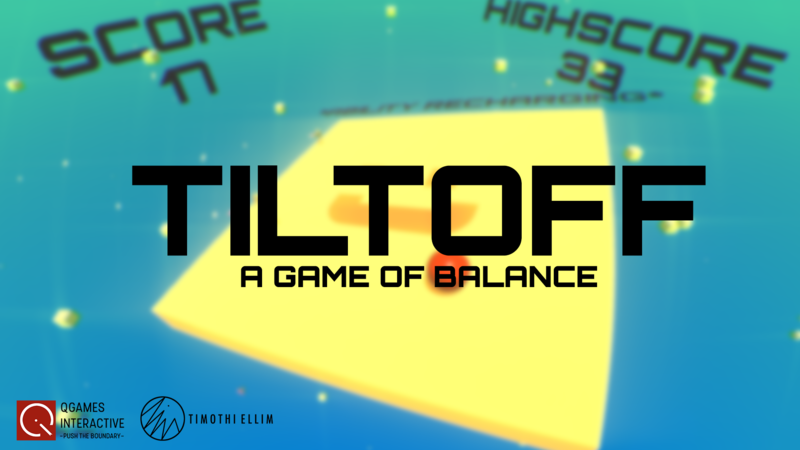 Built from the ground up to accommodate the philosophy of balance, TILTOFF is the ultimate no risk casual spiritual experience you will ever have. 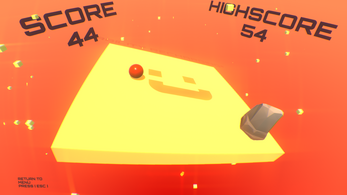 Take control of your life and guide the red ball around the yellow platform to improve your score and learn to increase your personal balance point. 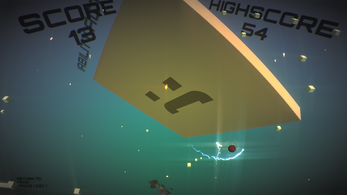 Just as life throws hurdles at you, so too does the game. Random objects will drop from the sky to tip your platform over, but will you survive? Yes! Today, with TILTOFF, you will prove to yourself that no matter what life throws at you, you will win! From flowers to mountains, move with the flow and balance that platform. Balance your life, once and for all! But what if I can't balance it? That's okay! 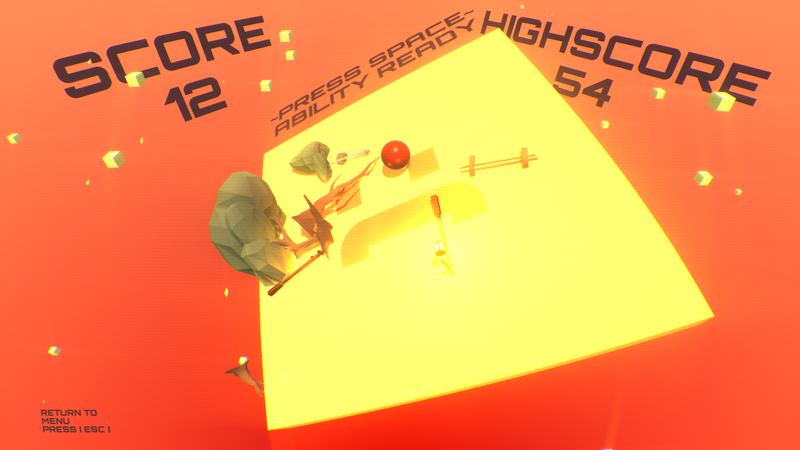 We all need a little help sometimes, so in TILTOFF, you have access to special abilities that will aid you in your journey to perfect balance. Activate these by smashing the space bar, getting rid of excess stress at the same time. Get help from friends and loved ones! 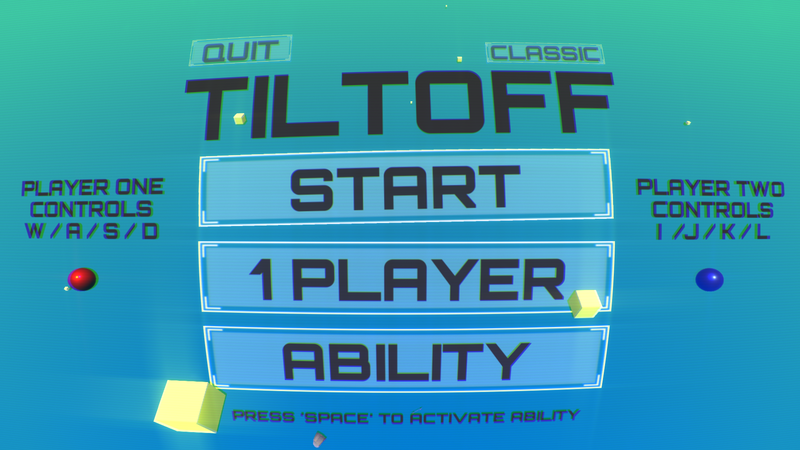 TILTOFF supports and encourages co-operative play! So, play together with a partner and find your balance without failing alone. "Life is like a bicycle. To keep your balance, you must keep moving" – A tip from Albert Einstein about playing TILTOFF and winning at life. Remember, the greatest secret to happiness and success is balance. With TILTOFF, this is now available to you for free! So, hurry and click that download button to get access to this revolutionary experience. What's so awesome about TILTOFF? Sharing the game on Twitter and Facebook really helps hit these goals! 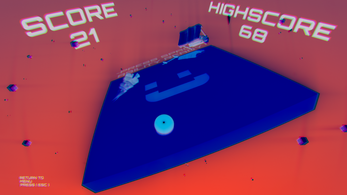 1000 Downloads - Four Player Support! 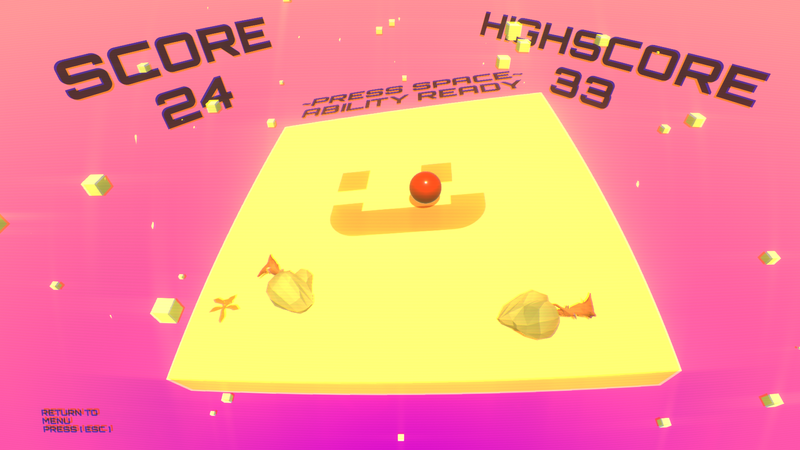 1200 Downloads - More Coming soon! Leaderboard - Unlocked by HisButtjesty when they beat the Developer Highscore of 134, becoming the first to do so! 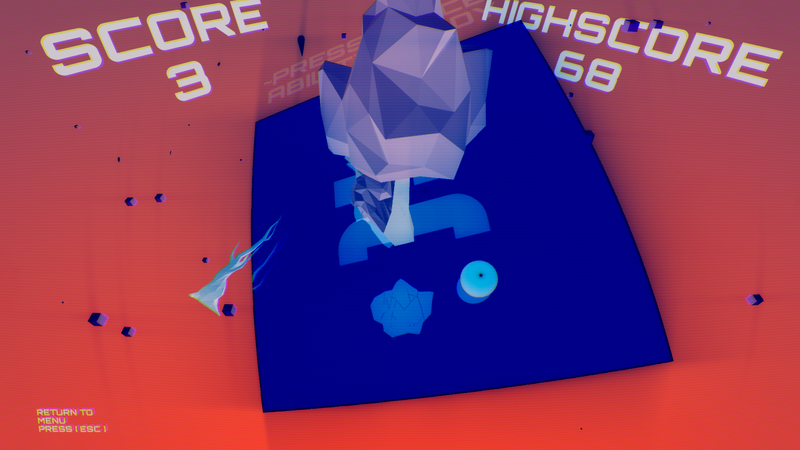 ~~Help us share this game by clicking the buttons below! 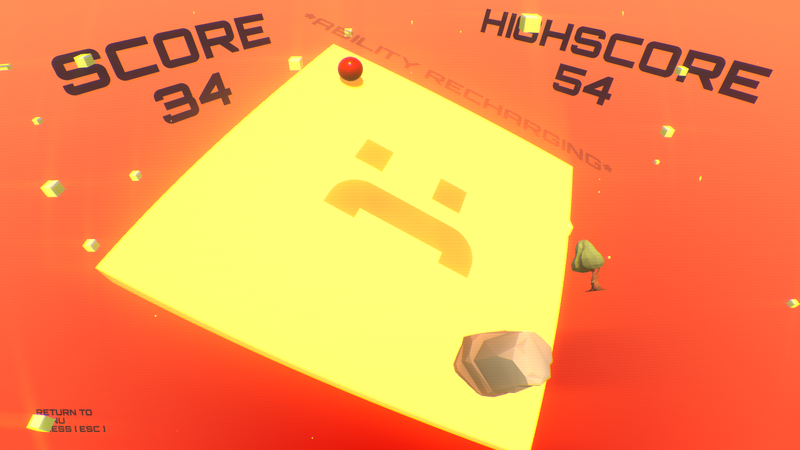 Every download gets us closer to a better game! Created by Timothi Ellim - Get to know me better @timothiellim on Twitter! Gameplay Soundtrack from Amoeba Crew- Check them out on Youtube! 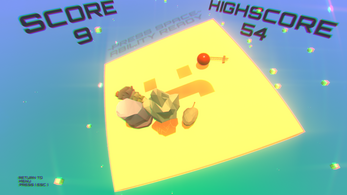 3D Models (the objects that drop) from Stoolfeather Games - Get their Low Poly Series on the Unity Asset Store! Made in Unity 5.6 - Make your own game today! Version 1.01 (100 Downloads!) - Added two more songs and three more skyboxes to the game for more musical and colour variation! Copyright 2017 Timothi Ellim. This item is not authorized for posting on Steam or elsewhere on the internet unless by accounts owned by the developer. 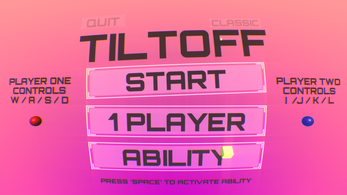 TILTOFF is ITCH.IO exclusive, so if you see this game elsewhere on the internet, please do inform the developer! 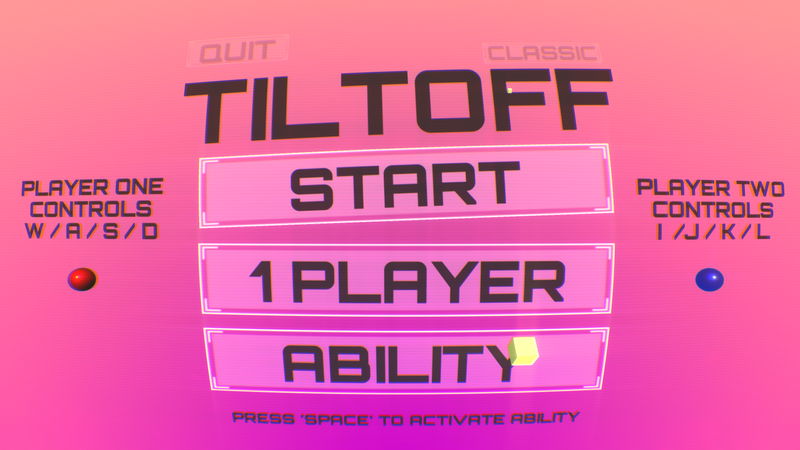 TILTOFF Updated to Version 1.02!